BERLIN, Germany (BulgarianMilitary.com) – Egypt continues to renew its armed forces and will buy six frigates from Thyssen Krupp Marine Systems, Germany totaling € 2.3 billion, learned BulgarianMilitary.com. The deal between Germany and Egypt includes the sale of military ships, including Meko A200 frigates. This is the second similar deal that has been won by the German company for less than a week. According to analysts, this deal and other similar Egypt’s deals lead to a weakening of the France’s positions on the Egyptian market. 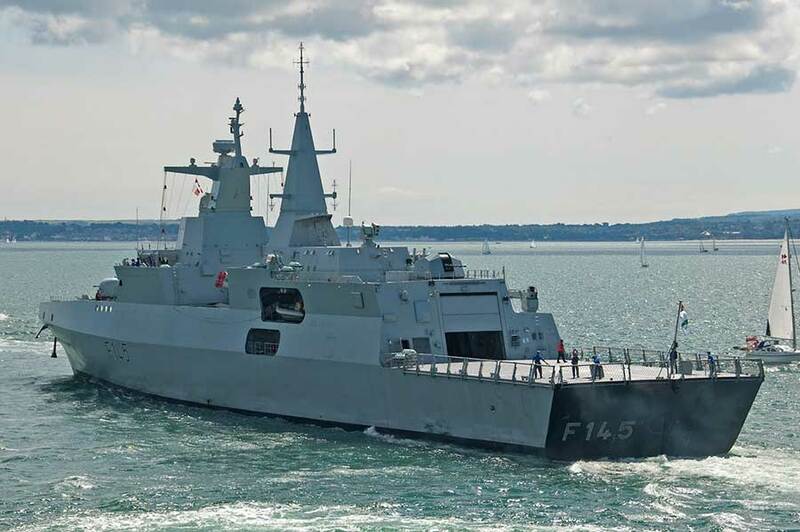 We recall that France sold the Fremm frigate and four Gowind corvettes to Egypt, as at the same time made a very specific proposal for the tender concerned, but eventually the German side won the deal. The Bundestag has already approved the sale of the ships to Egypt, by the approval of the Budget Committee of the German government, ensuring the financial aspect of the deal. An admission by the German Budget Committee in practice means finalizing the deal. Egypt has ordered ships of less than 120 meters in length and their armament is with missiles and torpedoes. This deal also provoked a negative reaction among the German politicians, as Green Party’s budget expert Tobias Lindner said that Germany was very often pursuing a controversial policy on the arms exports, referring to countries where there was ambiguity in regards to the human rights. “People have been fighting for weeks against weapons deliveries to Saudi Arabia, while at the same time wanting to deliver frigates to the military dictatorship in Egypt.” Lindner said. The Meko A200 frigates are with a length of 118 meters and have a speed of 32 knots (59 km/h). They have a Thomson Sintra Spherion B Mod 5 sonar, Raytheon AN / SPS-49 (V) 8 ANZ air search radar and Atlas Elektronik 9600 ARPA navigation. They are armed with Mk-45 Mod 2 naval artillery gun, Sea Sparrow SAM, Harpoon and RBS-15 SSM missiles as well as with the Mark 32 torpedoes. The arms control and the naval control systems are made by SAAB. The frigates support one of the two helicopter models: S-70B Seahawk or SH-2G Super Seasprite.